The cast of The Big Bang Theory makes quite a salary due to the tremendous success of the show among fans and viewers. CBS has a smash hit on their hands with this show, as evidenced by the fact that after eight seasons it has recently been renewed for an unprecedented three seasons. This is unheard of as the networks usually only renew any TV show one season at a time. As a result the cast of The Big Bang Theory has been able to negotiate a strong salary for each of the main cast members over the years. As the cast has grown the amount of money CBS pays each of them per season has greatly increased. Let’s see The salaries of The Big Bang Theory cast. From the start the main cast members of the show were being paid roughly $60,000 per episode. This remained true throughout the show’s first three seasons. When the fourth season of The Big Bang Theory began the main stars were being paid $200,000 for each episode filmed. The contract they negotiated came with the decree that for the fifth, sixth and seventh seasons respectively the main stars would automatically get a $50,000 raise per season. As of the beginning of the show’s seventh season the cast had banned together to ensure that each of them got the raise they desired and deserved. When the seventh season started, each of the main cast members was earning a salary of $350,000 for every episode filmed. However, the main stars campaigned for a raise from $350,000 per episode to $1 million for each episode. On August 4, 2014 it was confirmed that Cuoco, Parsons, and Galecki will be earning $1 million each per episode. The three main stars of the show are considered to be Kaley Cuoco, Jim Parsons and Johnny Galecki. When these three stars were negotiation their salary for the show’s eighth season they reportedly demanded a half million dollar raise for each episode. They also demanded to receive part of the profits made from the syndication of the series. At the end of 2013 the other two cast members, Simon Helberg and Kunal Nayyar were earning $125,000 and $100,000, respectively, for each episode of the show they filmed. In comparison, in 2010 Simon Helberg earned $40,000 per episode. Over the years Kunal Nayyar worked his way up to earning $75,000 per episode. When he and Simon Helberg signed their original contracts they were making $25,000 for each episode. When CBS recently renewed The Big Bang Theory through the 2016-2017 TV series the main stars negotiated for a raise that would net them $1 million per episode. It was reported that at this time, the show’s other stars, Melissa Rauch and Mayim Bialik signed new deals as well. At the beginning of the show’s seventh season both Mayim Bialik and Melissa Rauch were signed to contracts making them series regulars as opposed to guest stars. When this happened they each got a raise to $60,000 per episode. Prior to signing on as series regulars the actresses were earning between $20,000 and $30,000 for each episode. The salary of both actresses will continue to grow for every season that the show has been renewed for and they will eventually both be making $100,000 for each episode. All of the awards that have been won by series star Jim Parsons have contributed to the stars being able to negotiate the deals that they have negotiated. His star power has allowed himself, as well as Galecki and Cuoco, to ask for and receive huge raises. 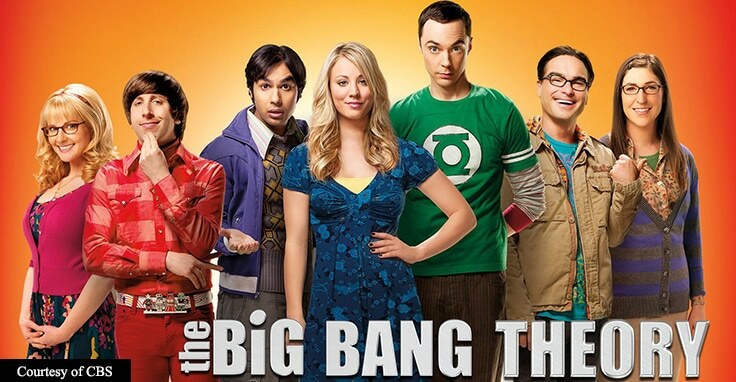 After the show’s fourth season, when a syndication deal for The Big Bang Theory was achieved Warner Brothers earned amounts in excess of $2 million for each episode. It is hard for anyone to argue the salaries that these talented actors are earning for the work they do to bring The Big Bang Theory into viewers’ homes each week. Each raise that the stars have asked for and have gotten have clearly been earned as the show has made an unprecedented amount of money for CBS over the years. Fans all over the world have helped contribute to the popularity of the show and have given the stars the ability to negotiate deals that make them some of the highest paid TV actors. As the show continues to grow in popularity the stars will likely keep getting pay raises that reflect the quality of their weekly performances. Though only Johnny Galecki and Kaley Cuoco were known to TV audiences before the premiere of The Big Bang Theory, each cast member is now a household name to worldwide fans of the show. Over the years the lesser known actors have made a name for themselves in the entertainment industry. In the case of Jim Parsons, The Big Bang Theory was his first starring role in a TV series. Fellow actress Mayim Bialik was also well known for playing the title character of Blossom on the hit NBC show years before The Big Bang Theory came along. The cast of the show was inspired to ban together to demand pay raises for each of them after the cast members of Friends successfully pulled that off while their show was at the height of its popularity. The Big Bang Theory is proving to be as successful as Friends was, giving the stars the power to negotiate huge deals with CBS and NBC respectively. When it comes to negotiating salaries, Johnny Galecki, Jim Parsons and Kaley Cuoco all stick together as a team while Kunal Nayyar and Simon Helberg stick together as a team. This allows each actor to get the amount of money they are worth. All of these actors, as well as Mayim Bialik and Melissa Rauch, are very good at salary and contract negotiations. This is likely part of the reason they have successfully renewed their contracts with the show. The Big Bang Theory cast holds a lot of power in the entertainment industry and especially within the CBS family. Only time will tell if their salaries continue to increase as the popularity of the show increases.